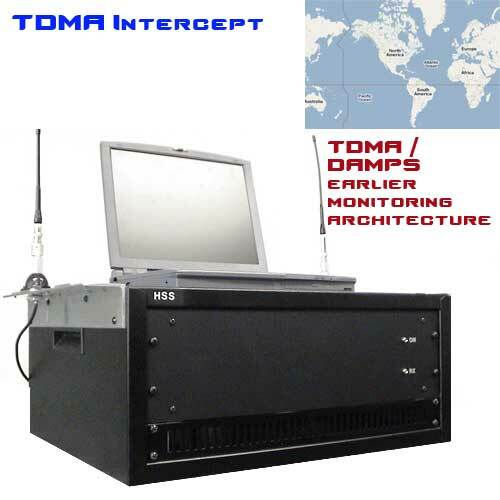 TDMA Intercept is one of the first generation Cellular Intercept Systems. It was the logical upgrade to the AMPS Intercept that was able to listen to Advanced Mobile Phone System communications. As AMPS and TDMA are rare to be in operation, most intelligence users of cellular intercept technologies have directed their efforts to utilizing the GSM cellular monitoring systems from HSS. Yet for research purposes, the information presented represent the descriptions of the TDMA Intercept. As the TDMA was designed as to passively intercept voice conversations from the air, it only made sense to equip the system with a voice logging system. This recording capability was able to store both voice and the early stages of cellular data the TDMA signals carried. While intelligence users of the TDMA cellular interception system were able to hear the captured conversations live in real time, they generally did not playback the conversations until after they were recorded. They relied on the voice logging system to save for future playback, primarily for evidence collection. The TDMA Intercept was able to scan a large range of communication "channels" in a given area. The user was able to lock on to those channels and extract a variety of information, such as random targets in communication as well as specific users being sought after. During operation of the TDMA Intercept, specific mobile station data was able to be intercepted, which led to some advanced cellular tracking features of the target under investigation. This was not an easy feat to accomplish, but possible. 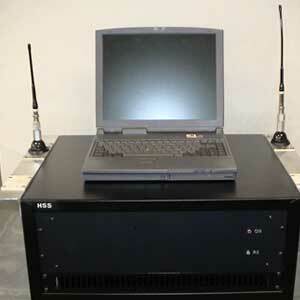 The intercept system was expandable, and allowed the user to operate using 2 to 27 channel configurations. While the TDMA Interception took place, the multi-mode feature gave the user the ability to change from a scanning search mode to a lock and fixed mode. The TDMA fixed mode gave the ability to extract AMPS communication if the system encountered AMPS or digital AMPS, whichever was the stronger cellular band in the given area. Should the user have the intelligence of the target numbers, this could be entered into the system, filtering the search parameters to ignore non-targeted interception data that came within range of the user. At this point, intercepted information could be recorded directly from the air to the hard drive within the voice logging system.